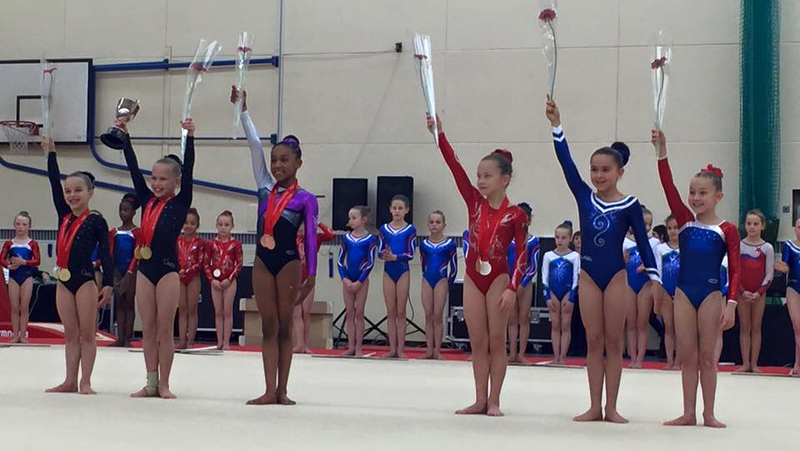 Results and Scores 2015 National Age Group and Combined Championships. The National Age group Championships are complete for another year, the voluntary and combined compulsory and voluntary champions crowned. In a matter of weeks after the new year, the gymnasts involved will move up to the next level, preparing for compulsories in the spring. Age groups is the biggest competition of the year for up and coming gymnasts in Great Britain, and a huge amount of work will have gone into today both to succeed for the team, individually, and for those at the top end, to place high enough for national squad selection. Well done to all gymnasts taking part, and coaches that helped them get there. The first year of national finals for the youngest gymnasts competing, 2006 born girls turning nine within the year. In the team event, the East region took the title as they did in the compulsory championships, the young Welsh team the silver one place up from compulsories, and North West jumped two places to take the bronze. In the in individual competition the East region took the top two places with Ellie Petroiu of South Essex repeating her success from compulsories by taking the voluntary title, followed by South Essex team mate Paige Moroney who improved on her bronze from compulsories by taking the silver. Mail Morgan of Capital Academy Wales took the bronze, and all four of the Welsh team placing in the top seven suggests a very bright future for this team. Combined top six L-R: Paige, Ellie, Ayesha, Mali, Mercedes, Evie. Level three for the 2005 born gymnasts turning ten within the year was a closely fought competition with some very strong girls in this year. Should all make it through the levels and into the junior then senior ranks, this could be another very exciting generation. 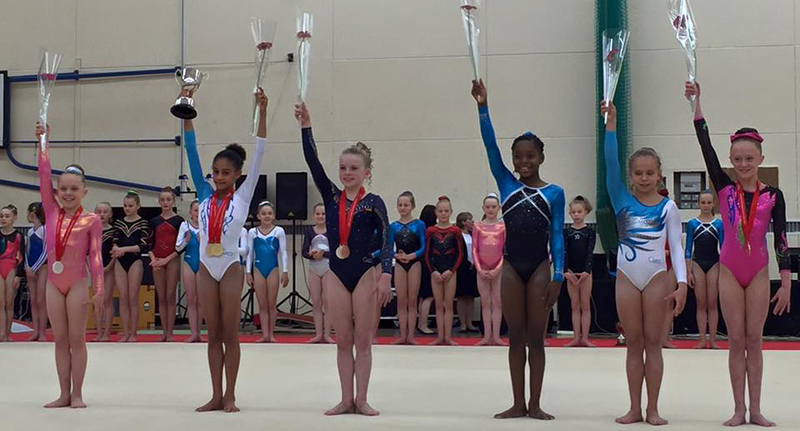 The team competition was closely fought between London and West Midlands, with London just edging the gold by 0.50. 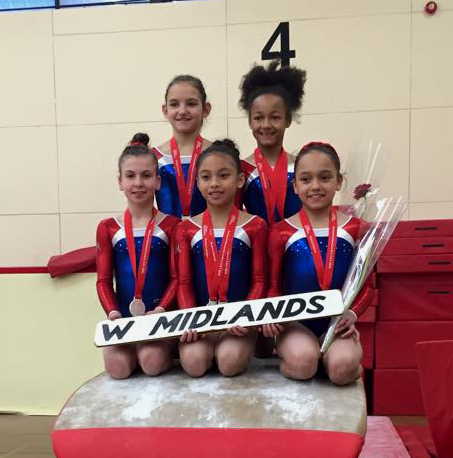 West Midlands placed all of their gymnasts in the top ten which is an outstanding achievement at national level. East Region took the Bronze, meaning the medals went in exactly the same order they did at the National Compulsory Finals earlier this year. In the individual competition Jaimee Smith of London and Europa took the title. Jaimee has won everything there has been for her to win so far at national level, taking the Level 4 Compulsory and Voluntary titles in 2014, and now repeating the same at Level 3 in 2015. Sophia Cabrera of West Midlands and City of Birmingham took the silver, Sophia has also done very well so far, taking the compulsory and combined silver at Level 4 last year. Bronze went to Akielah Ashman-Howe of Europa. Akielah didn’t have a high enough placing in her regional qualifier to make the London team, but was eligible to compete here as she was still over the required score of 47. 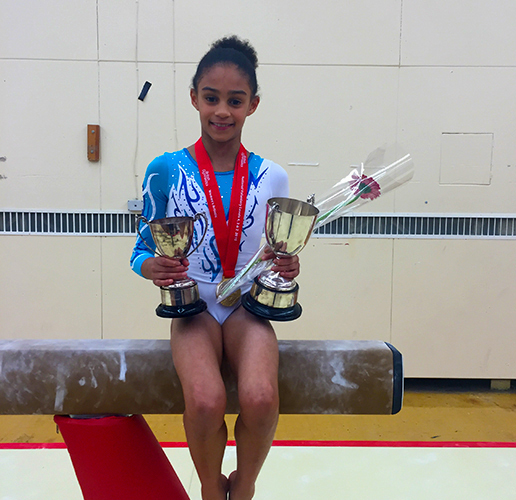 Akielah placed second at National Compulsory finals this year, then improved her regional qualification score by 3.5 points showing that she certainly is one of the best gymnasts in the country at this age. Gold medal winning London Region team flanked by China Mattis of East London, and silver medalist Akielah Ashman-Howe of Europa. No team competition at Level 2, all gymnasts compete for their clubs as opposed to regions. 2004 born gymnasts, and another age group packed with talent. These are the girls that we hope to see pass Compulsory 1 in 2016 then take part in the British Espoir Championships at the end of the year. Ondine Achampong took the title, continuing to top this age group having taken the combined title in both 2014 and again then this year having won both Compulsory and Voluntary National Finals for the last two years (Ondine tied for Compulsory gold with Halle in 2014). Halle Hilton took silver, to add to her silver from 2014, and also placed third combined for this year. Anna Hollins from Largs took the bronze which was enough to place her 6th in the combined competition. Ondine and Halle split the apparatus top scores between them, although it is interesting to note that Samanta Katkevica placed second on every piece but beam where she clearly had a bad day. Along with her results from last year, she is another name to watch for medals in 2016. November 15, 2015 in Competition, Development. 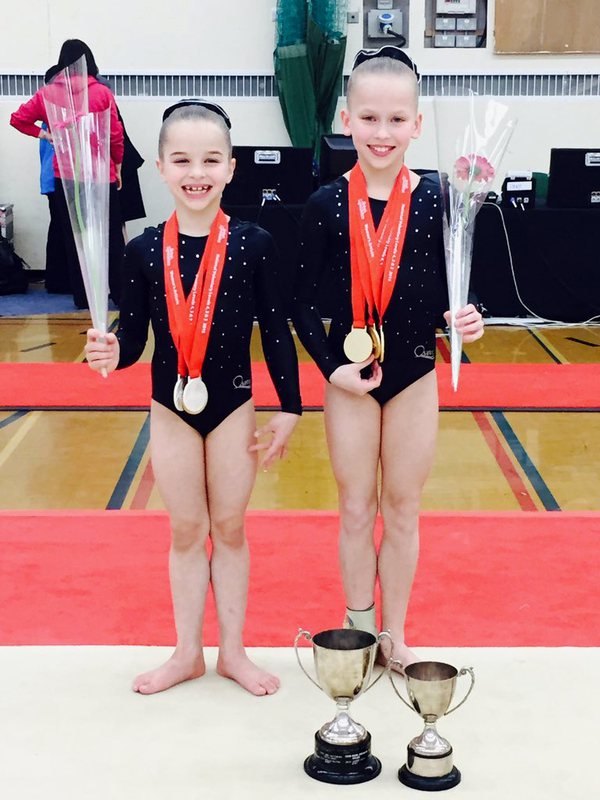 ← 2015 British Age Group Championships Preview. Scores From Regional Voluntary Qualifiers.